Many Schools in Greece, facing the economic difficulties of the recent years, lack the resources even for basic needs. Parents and teachers organise fundraising events to cover needs as buying equipment, classroom maintenance, heating etc. 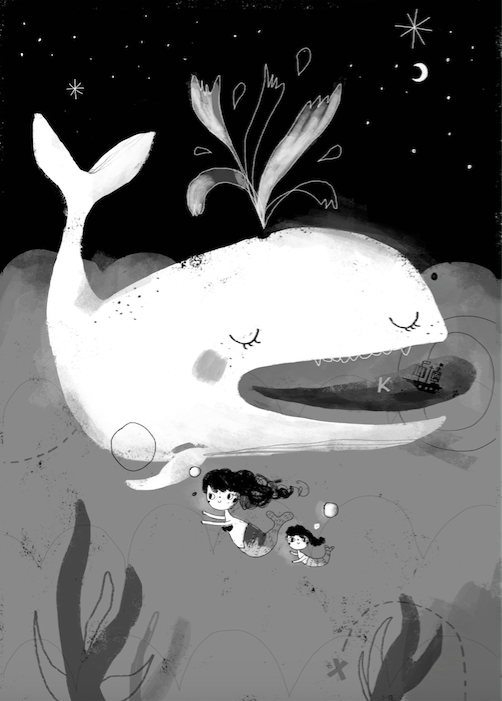 The idea of this book started as a social media discussion between friend writers and illustrators. 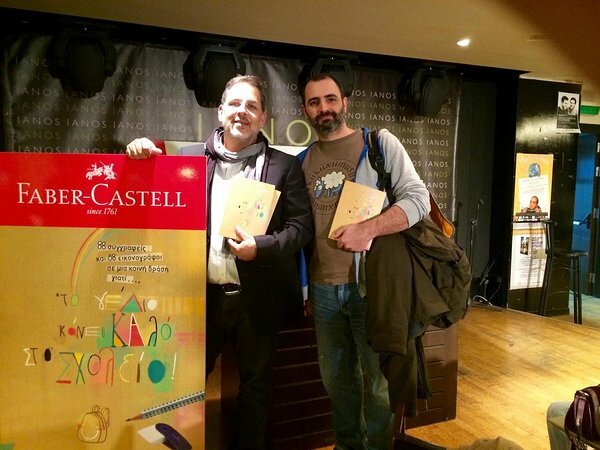 Then we discussed it with Vasso Nika and Vangelis Iliopoulos from the National Board of IBBY and with their support we soon gathered 88 writers and 88 illustrators (almost everyone) that, in pairs, created 88 short stories. write something that would make children laugh out loud. 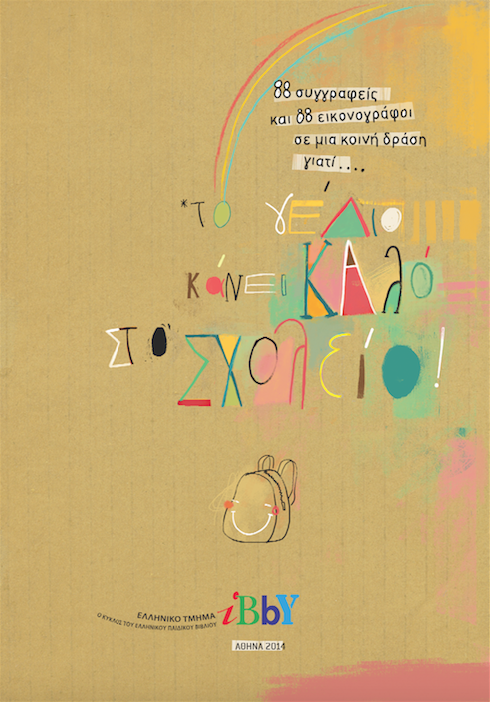 With the help of sponsors that payed for the printing the book was published by IBBY Greece but was not distributed by bookstores: it was given in boxes of 100 books for free in schools that asked for the book, in order for them to sell it and raise funds for their school’s needs. Please note that the project is still active and we are seeking the next sponsor that will cover the next wave of printing and distributing. 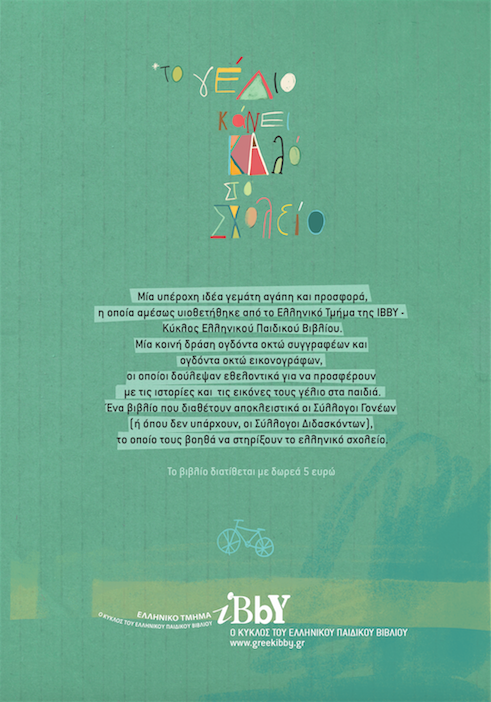 Feel free to contact IBBY Greece if you wish to participate.